This whimsical two-piece set is the perfect outfit for staying comfy and cute. A classic a-line silhouette dress that’s perfect for baby in red and white ticking stripe. 100% cotton. 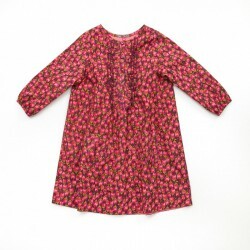 Pretty in pink with this soft twill paisley dress. 100% cotton. An easy breezy, 2-piece set for baby in a beautiful anchor print, 100% cotton.